If you're just visiting our website, and you're not on our gluten free diet program, you can use standard flour or sugar for this recipe. The Healthy Diet Paradise has very strict parameters for people who are modifying the use of gluten and sugar, and this recipe meets our guidelines. The texture of this luscious chocolate banana cake is denser than wheat-based cake. You can eat it cold, or warm it up in the oven or microwave for a soft, supple texture. You will be delighted at how satisfying and sumptuous this chocolate banana cake recipe tastes. The flavor is, of course, very chocolaty with a hint of banana. 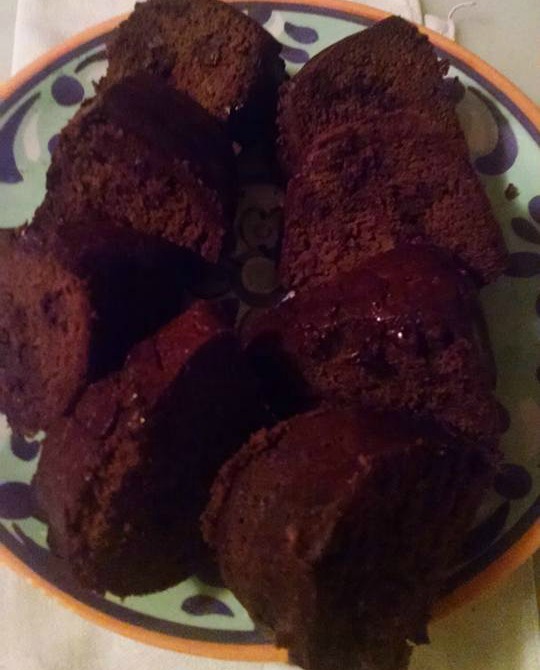 You can use a bundt pan, and in these pictures, I used both a standard 9 X 13 cake pan, and a bundt pan, then cut it up. No matter what type of pan you use, it's going to work great. The cake slides right out of the pan and holds its shape beautifully. For this recipe, you can use three medium or four small bananas. I used three large bananas for the recipe below. Note: We added one cup of chocolate chips directly to the mixture, and we also added another 1/4 cup as a topping. You can do it with or without the chocolate chip topping. 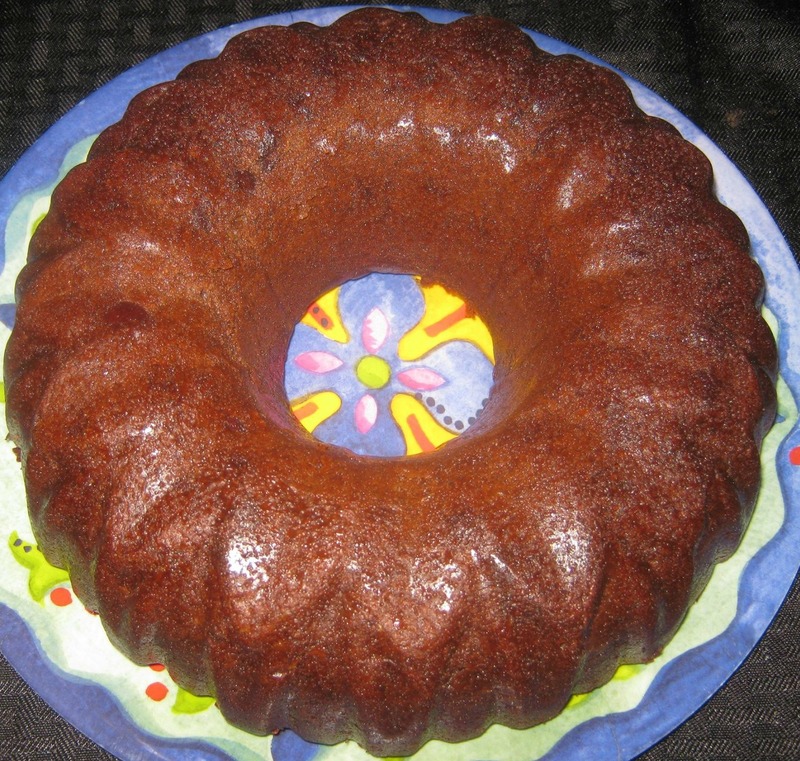 Grease a bundt pan or a standard cake pan with butter or olive oil. Completely smash the four bananas with a fork. Add the 1/2 cup softened butter to the bananas and mix well. Add the eggs, vanilla, xylitol and stir well. Stir together garbanzo bean flour, baking powder, cocoa powder, and salt. Stir in the chocolate chips last. Pour the batter into the buttered bundt cake pan or baking dish. Add 1/4 cup of chocolate chips on top of the batter before baking. 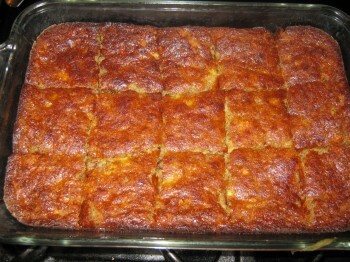 The ingredients can be added in any order, but it's best to add the garbanzo bean flour and the chocolate chips last. Bake at 350 for 45 to 50 minutes. Use a spatula to pull the edges away from the pan to make sure it's done. Or use a fork or toothpick to pierce the cake. When it comes out clean, the cake is done. It's very important to allow the cake to sit for over an hour. The cake has to be completely cool so that it's firm when you cut it. 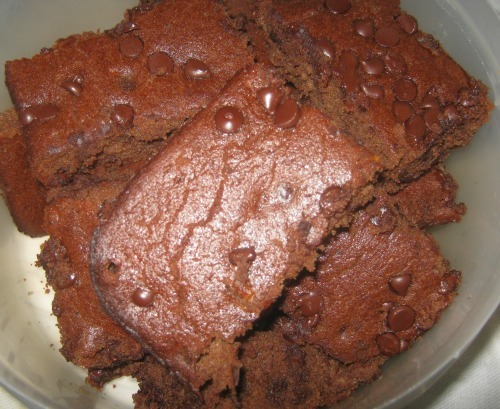 This cake recipe can be consumed with our hot chocolate recipe and eaten as a healthy snack. Click here for a complete list of our healthy lunch and dinner recipes. Click here for a complete list of our healthy desserts. Click the picture below for our delicious gluten free banana walnut bread recipe. 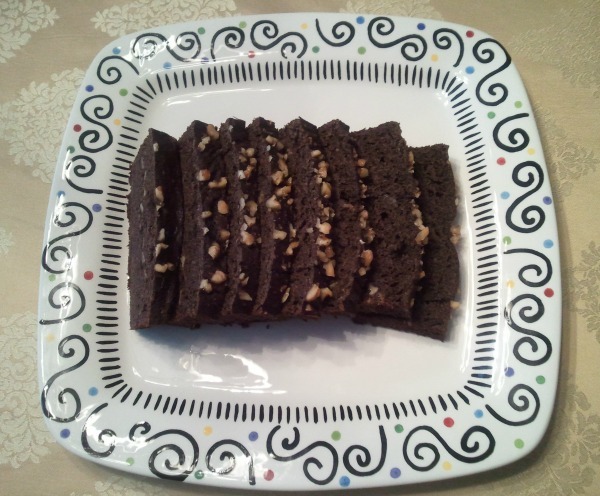 Click the picture below for our gluten free buckwheat banana walnut bread recipe! 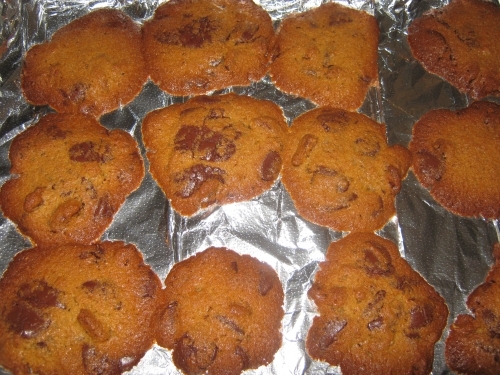 Click the picture below for our gluten free chocolate chip cookies! 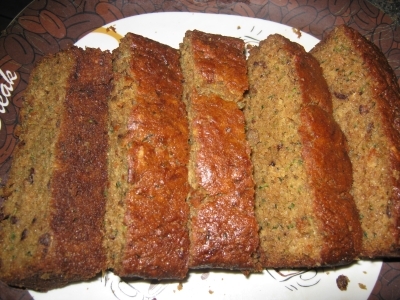 Click the picture below for our gluten free zucchini bread recipe made with 100% natural ingredients.